Large Work Order Business Forms GEN6545 At Print EZ. Large Work Order Business Forms Item No. 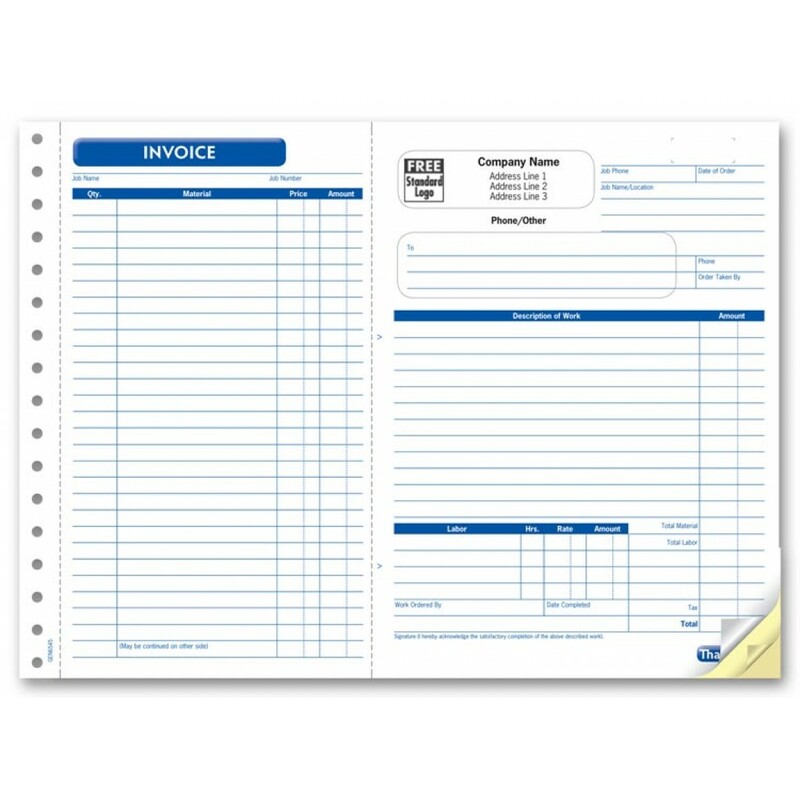 Size: 11" x 8 1/2"
Large Work Order Business Forms Item No. While a work order form is very important, it is also true that one ends up having to re-invest time in an invoice each time once the work is completed. However, we have changed this scenario with our well laid out large work order business forms. With 31 lines plus 16 extra for descriptions, this is a work order form especially useful in the larger projects. No more bothering with several smaller invoices and work orders. One form will work for it all. Enjoy clean records and plus customize these forms with your company logo to create a stronger impact on your client’s mind. This one stone will help you kill many birds at one go.